Pages have heavy foxing. 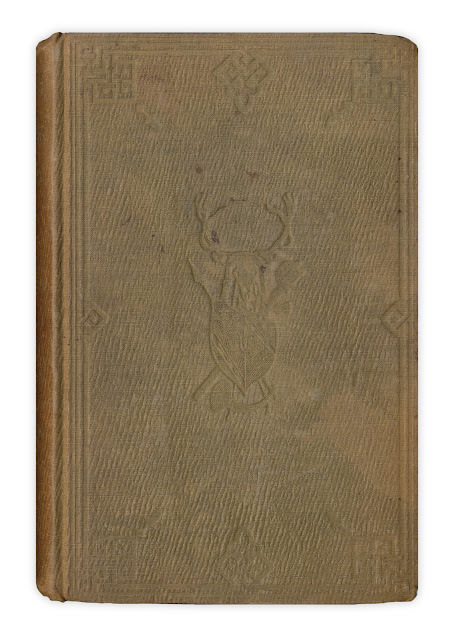 Owner's name on front endpaper. 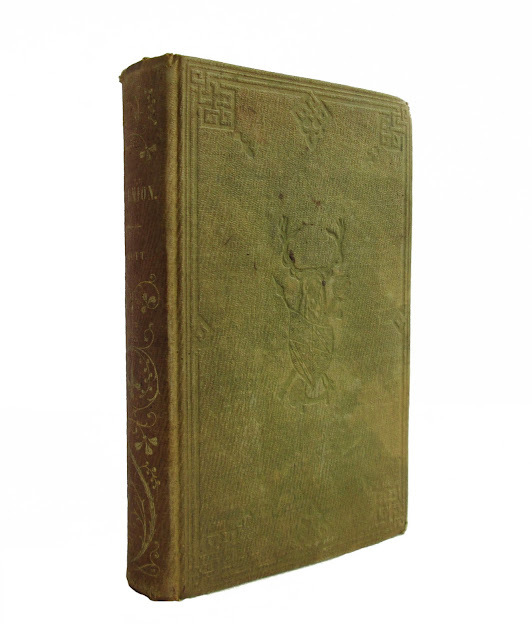 Cover is green, worn, with gilt lettering on the spine which is darkened. Frontispiece features an engraving. Faded flowered decoration on spine. 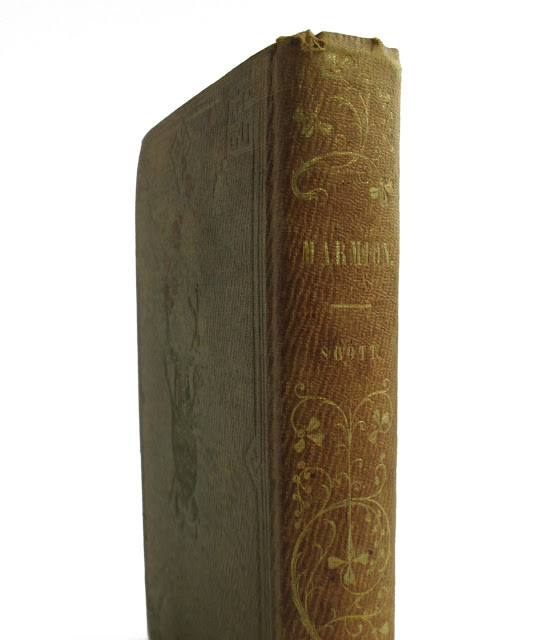 Marmion is an epic poem by Walter Scott about the Battle of Flodden (1513). 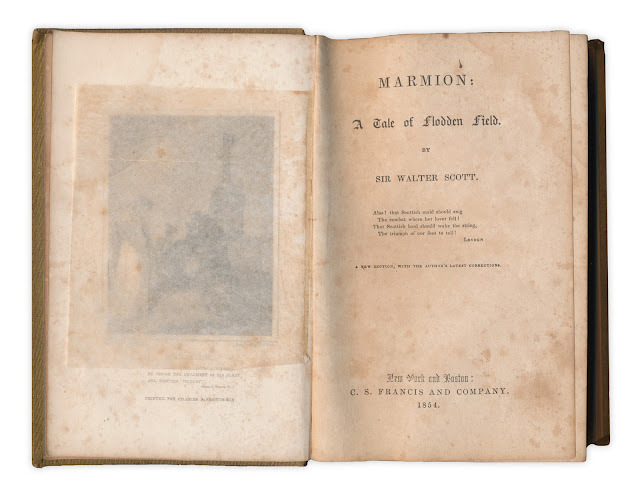 It was first published in 1808. Scott started writing Marmion, his second major work, in November 1806. When Archibald Constable, the publisher, learnt of this, he offered a thousand guineas for the copyright unseen. William Miller and John Murray each agreed to take a 25% share in the project. 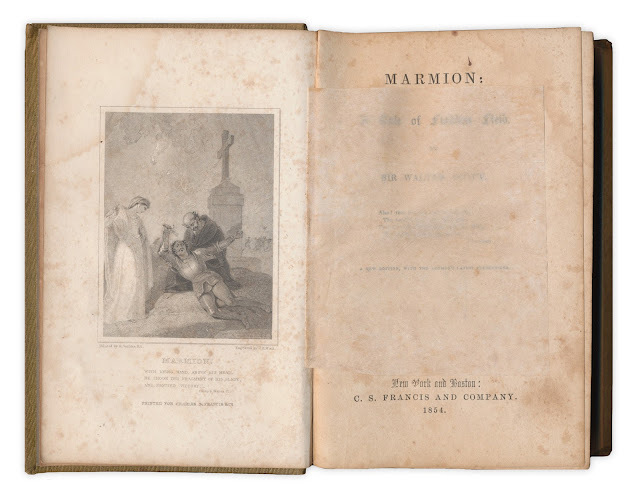 Marmion was finished on January 22, 1808 and published in February in a quarto first edition of two thousand copies; priced one and a half guineas, it sold out in a month. It was followed by twelve octavo editions between 1808 and 1825.